With all the stress that comes along with college, it's important to keep our bodies healthy on a daily basis. When I think about living well in college, I think about living a healthy and balanced lifestyle. It's important to always be thinking about what we're putting into our bodies, as this has a direct impact on how we feel each day. 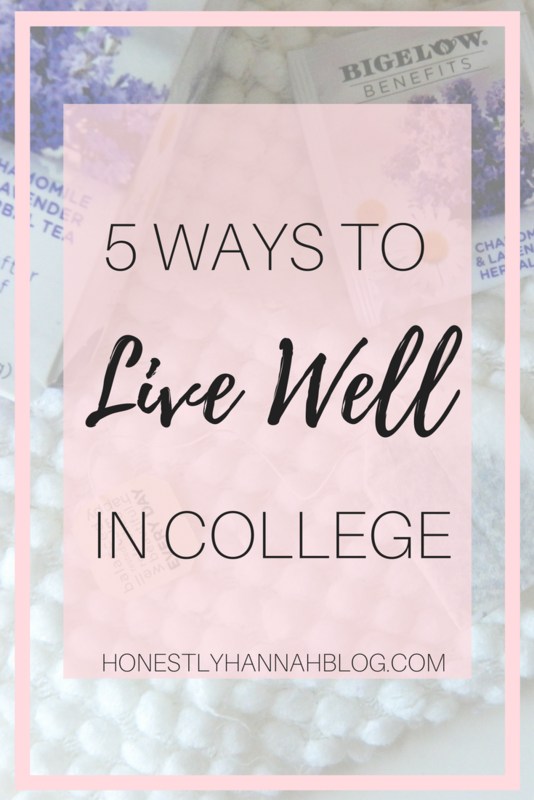 I wanted to share a post about how to live well in college. Hopefully, these 5 tips will help you to live a more balanced life during your college years! When I was in high school, I used to run cross country and track, so my daily workout was always built in, and I didn't have to think about it. Coming to college (almost two years ago now?! crazy...), it was a bit harder to get into the swing of working out. Walk to class. I absolutely never drive or take the bus to class. Since I live on campus, I find that it makes a whole lot more sense to walk to class, plus it's a built in workout each day! It's nice to be outside in the fresh air. I try to walk at a brisk pace so that I get my heart rate up a little. Take an exercise class at your college's gym. Almost all colleges have a free gym for students (well "free," meaning it's probably built into your tuition somehow). I only recently discovered some of the awesome exercise classes that the gym at my school offers. Recently, I've fallen in love with spin classes! Try to make working out fun, and do something you enjoy rather than just running on a treadmill for a half hour. Get outdoors for a hike or a walk/run. I've honestly never been one for gyms. While I love group exercise classes and think they're really fun, I don't necessarily enjoy going to the gym to use the machines or run on the treadmill. Getting outside and going for a nice hike or jog on the beach is a great way to get some exercise and have fun while doing it! Practicing mindful eating is something that I've been working at for awhile. As someone who was blessed with a quick metabolism when I was younger, I had a bit of a rude awakening when I started getting into college and realizing that I wouldn't stay fit forever if I didn't start eating better. I've never believed in depriving yourself from the foods you love. I love mac n' cheese. Is it good for me? Nope. Am I going to give it up? No way. It's all about eating the foods you love (the ones that may not be good for you, that is) in moderation. I find that giving up anything that you love just leads to endless food cravings. In order to eat mindfully, simply be more aware of the foods that you're putting into your body. Try to nourish your body rather than just feed it. It's easy to push self-care aside when you have a lot going on in college, but don't do it! Self-care is one of the things that keeps me sane in college. Whether it's a relaxing bedtime routine or a face mask that you do once a week, always remember that it's the little things that help you stay calm throughout the semesters. I feel some some college students glamorize the idea of pulling all nighters and getting no sleep. This is honestly so silly and not something college students should be striving for. If you know how to manage your time effectively, there's absolutely no reason to ever have to pull and all nighter! I know a lot of college students just like to stay up late in general, but that's not particularly effective either. I try to aim to have all my work done by 9 PM, so that I have time to wind down and relax. This is actually a pretty easy thing to do if you know how to manage your time. I cannot stress this enough: get 8 hours of sleep each night! There's no reason to walk around feeling like a zombie if you could simply go to bed a little earlier. 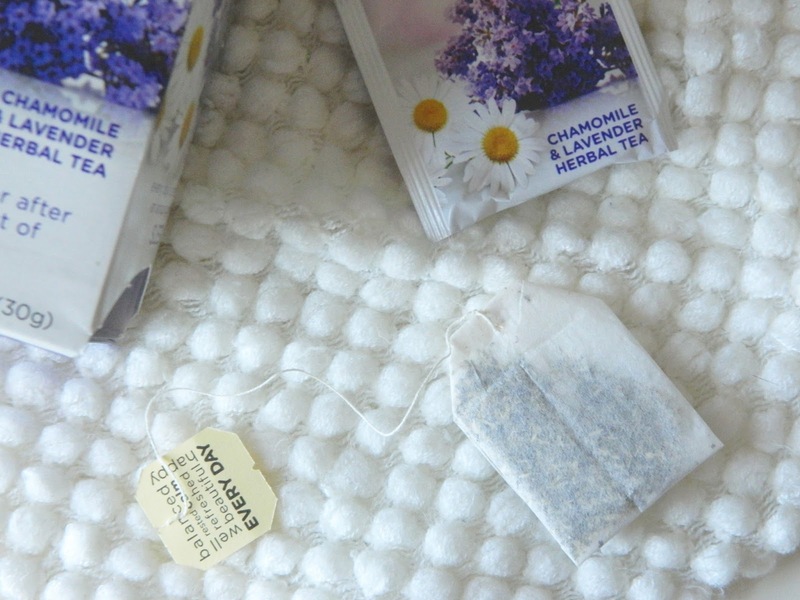 One of my favorite ways to fuel my body with good ingredients is with tea. I've always been an avid tea drinker, but since coming to college almost two years ago, I found myself looking forward to my daily cup of tea. For me, this time was refreshing, relaxing, and much needed at the end of a long day. 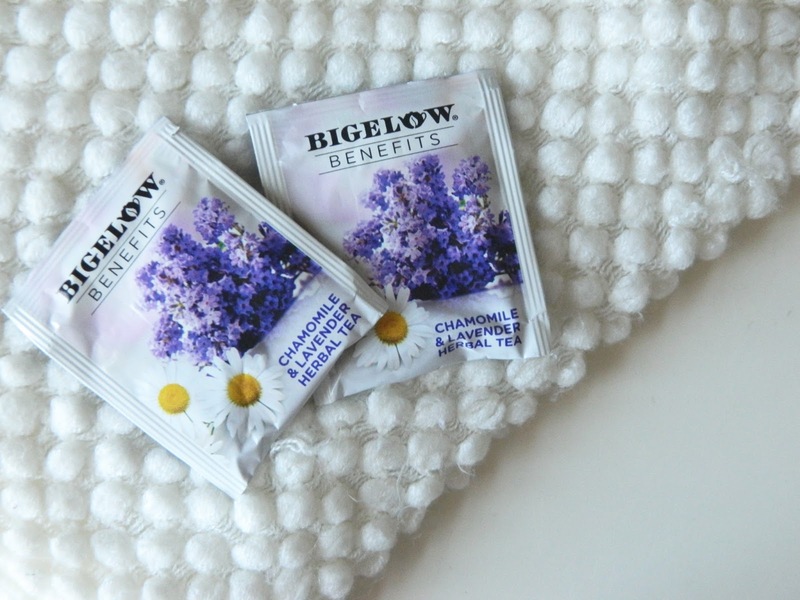 Recently, I've been loving the Bigelow Benefits line of teas. As a longtime lover of Bigelow tea, I was more than excited to try out the benefits teas. This new line is designed to support everyday wellness and nourish our bodies. The new line consists of 6 herbal teas and 1 green tea... All the best teas for a healthy, clean lifestyle! 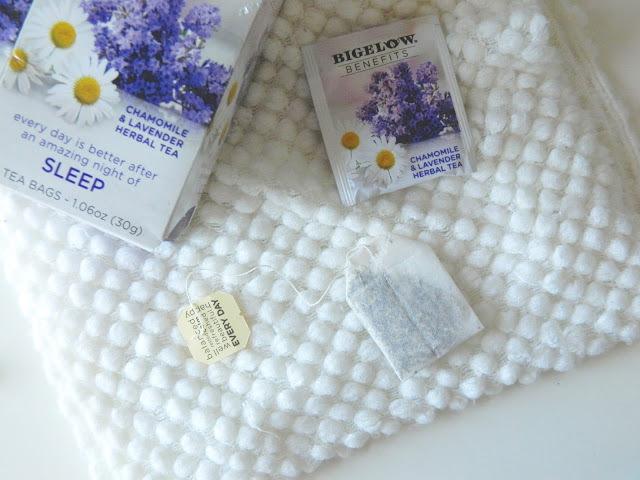 What I love most about these teas is that they are designed for the everyday person who is just trying to live well and keep their body's happy. I wouldn't consider myself a "fitness fanatic" or anything, but I would consider myself to be someone who cares about keeping my body healthy. I work towards the goal of living a happy and healthy lifestyle each and every day, and Bigelow Benefits helps me achieve this! 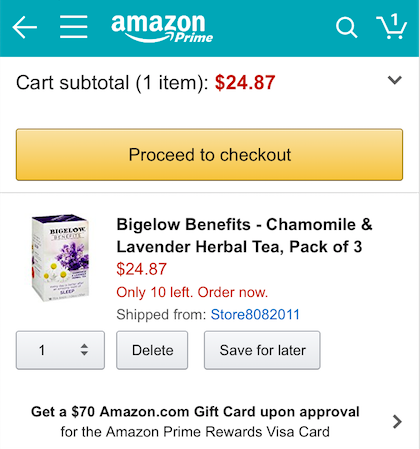 I ordered the Chamomile & Lavender Herbal Tea off of Amazon! Ordering off of Amazon is so convenient, so I was incredibly excited to see that these teas were available on Amazon. Plus, the product came in a 3 pack so I now have a ton of tea to enjoy! 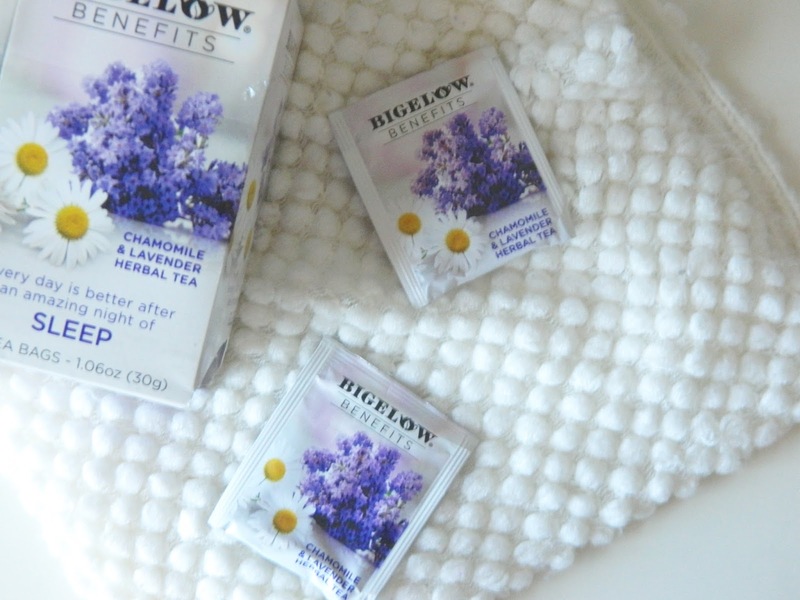 Click here to learn more about this refreshing new line of tea from Bigelow Benefits! Great tips! I need to share this post with my college age daughters. I've never heard of this tea brand, but it sounds amazing. I also love the idea of creating a routine for your skincare as a way to take care of yourself! Definitely give it a try! :) and agreed. Skincare is so important!